The following Switch Interfaces can make otherwise inaccessible games consoles playable. 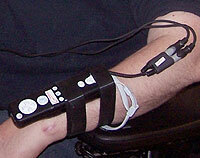 By allowing standard accessibility switches to connect to games consoles, gamers can tailor design their own set-up. It may still be however that gamers will need to play in teams to cope with the huge surplus of controls many modern games demand. Click on the images below for more details on each controller and where you can purchase these from. Please feel free to e-mail for help on anything that is unclear, or to share new information. 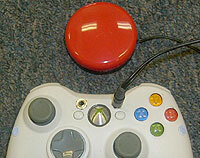 Switch, sip-puff and joystick interface for PC. Various options. 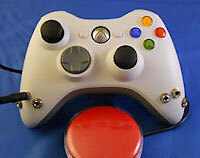 PC and Xbox Adaptive Controller compatible joystick. Optional switch sockets can be fitted. 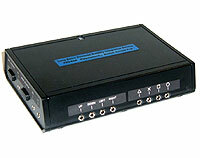 A six-socket switch interface for the Xbox 360. The function of each socket can be reconfigured to any button on the controller. A versatile switch interface with remappable controls, switchable profiles, auto-fire, control latching options and external analogue controls. 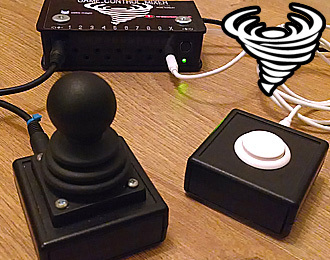 A number of basic adaptations to JoyPad controllers. 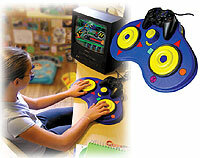 Ideal for team play or for gamers needing a button or two brought to a more accessible place. Various switch accessible gaming adaptations and devices. Require additional switches and optional analogue controls to suit each individual to create a tailor made control set-up. 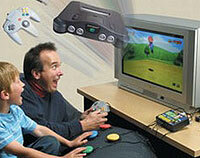 Various Wii switch accessible solutions. N.B.Presently there is no switch accessible solution to games requiring Wii remote motion. 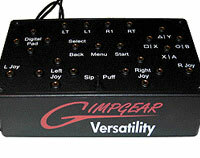 PS2 and PS3 compatible switch interface for Guitar Hero. 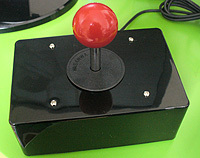 Features a one-button play mode. A durable Playstation 3 switch and analogue interface box that allows for full customisation of controls unlike any other. Contact designer Geoff Harbach at LEPMIS for more information. See also: LEPMIS guide for making your own analogue controls for the PS3 Access Pod. 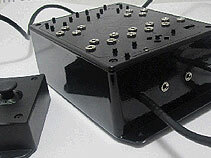 A Playstation compatible controller with a number of switch sockets at the rear. Playstation One and partially Playstation2 compatible. Nintendo compatible switch interfaces. Superb versatile controllers from the sadly defunct Pathways Development Group, Inc. Their interfaces included versions for the Famicom/NES, Super Famicom/SNES and N64. Build your own switch interfaces. Includes many other guides for switch accessible equipment.